Musicians are often idolized by the majority of society for not only bringing joy to their listeners, but also taking a stance against the corrupt morals of the government. But conspiracy theorists believe that some of the most celebrated singers, along with activists, in American culture have been manipulated by the CIA’s Project MK-Ultra. One such musician who’s thought to have been manipulated by the government agency is Grammy Award-winning singer-guitarist, Kurt Cobain. The cause of his death, which was officially declared a suicide when his body was found in the spring of 1994, is featured in the new documentary, ‘Drugs as Weapons Against.’ In honor of the film’s upcoming distribution on VOD on January 29 by Gravitas Ventures, ShockYa is premiering an exclusive clip about the rock band frontman’s death. 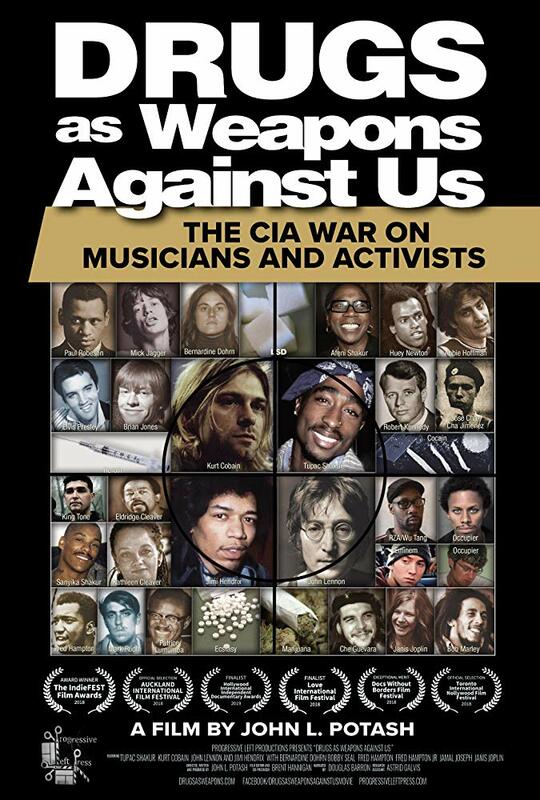 The movie, which was written, directed and produced by author John Potash, is based on his 2015 book of the same name, ‘Drugs as Weapons Against Us: The CIA’s Murderous Targeting of SDS, Panthers, Hendrix, Lennon, Cobain, Tupac and Other Leftists.’ Both the documentary and book present evidence that Project MK-Ultra manipulated musicians and activists to promote drugs for social control, particularly regarding the Civil Rights and anti-war movements. Evidence further supports that intelligence agents murdered some of these musicians and activists when they resisted intelligence manipulations. For more information on ‘Drugs as Weapons Against Us,’ visit the film’s official website, as well as its Facebook page. ShockYa is premiering an exclusive clip from writer-director-producer John Potash's documentary, 'Drugs as Weapons Against Us,' which Gravitas Ventures is distributing on VOD on January 29, 2019.